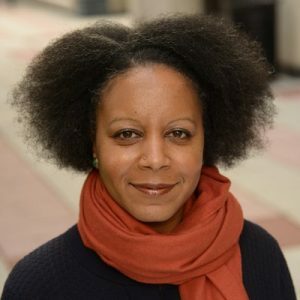 Christina Greer is an Associate Professor of Political Science at Fordham University – Lincoln Center (Manhattan) campus. Her research and teaching focus on American politics, black ethnic politics, urban politics, quantitative methods, Congress, New York City and New York State politics, campaigns and elections, and public opinion. Her book, Black Ethnics: Race, Immigration, and the Pursuit of the American Dream (2013), investigates the increasingly ethnically diverse black populations in the U.S. from Africa and the Caribbean . The book received the W.E.B. Du Bois Best Book Award in 2014 given by the National Conference of Black Political Scientists. She was also voted City & State’s 2014 Top 40 Under 40 Rising Stars. Professor Greer received her B.A. from Tufts University and her M.A., M.Phil., and Ph.D. in Political Science from Columbia University. She is a member of the board of Project Vote and on the Executive Council for the Safety Net Project-Urban Justice Center and an ardent supporter of FIERCE in NYC and Project South in Atlanta, GA. She is a frequent political commentator on several media outlets, primarily MSNBC and NY1, and is often quoted in media outlets such as the NYTimes, Wall Street Journal, Newsday, and the AP. 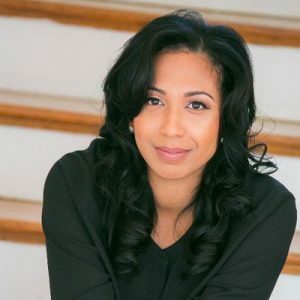 She also writes a weekly column for The Amsterdam News, the oldest black newspaper in the U.S.
Jason D. Hill is a professor of philosophy, Honors Distinguished Faculty, and Director of Teaching Practicum at DePaul University. He received his Ph.D. from Purdue University and is a specialist in ethics, social and political philosophy, philosophy of education, and race theory. He is the author of four books: Becoming a Cosmopolitan: What It Means to Be a Human Being in the New Millennium (2000); Beyond Blood Identities: Post Humanity in the 21st Century (2009); Civil Disobedience and the Politics of Identity: When We Should Not Get Along (2013); and most recently We Have Overcome: An Immigrant’s Letter to the American People (2018). 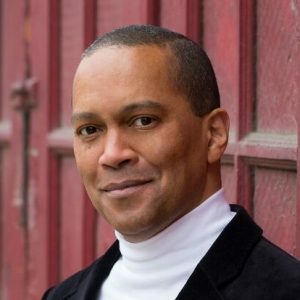 Professor Hill has contributed to numerous prominent media outlets, including The Federalist, Commentary Magazine, Spiked Magazine, Salon, The Hill, NBC’s Today show, Fox News, and NPR. An immigrant to the United States from Jamaica at the age of twenty, he now serves as President and CEO of the Institute for Immigrant Assimilation. Leah Rigueur is an Assistant Professor of Public Policy at the Harvard Kennedy School of Government. An historian by training, she received her B.A. in History from Dartmouth College and her M.A. and Ph.D. in History from Princeton University. Her research interests include 20th Century United States political and social history and modern African American history. At the Kennedy School, she teaches courses on race, riot and backlash in the United States, the Civil Rights Movement, and race and policy in Modern America. Professor Rigueur’s book, The Loneliness of the Black Republican: Pragmatic Politics and the Pursuit of Power (2015) examines the ideas and actions of black Republican activists, officials and politicians, from the era of the New Deal to Ronald Reagan’s presidential ascent in 1980. Her work has been featured in a number of different outlets including Polity, Souls, Federal History Journal, CNN, PBS, NPR, the Washington Post, The Guardian, MSNBC, Politico, The Christian Science Monitor, Chicago Tribune, The Atlantic, Daily Beast, Huffington Post Live, and Salon.